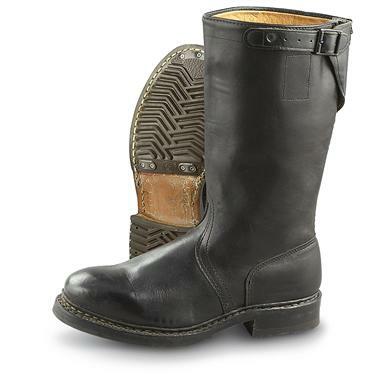 Easy, pull-on Wellington convenience meets classic military looks with these German Border Patrol Boots. As seen crewing checkpoints and guarding isolated observational posts. Gently pre-tested by German troops, with plenty of life left for your civilian mission. German Military Surplus Border Patrol Boots, Used is rated 4.5 out of 5 by 13. Rated 2 out of 5 by Sftiki from These have a zipper, not mentioned in description. 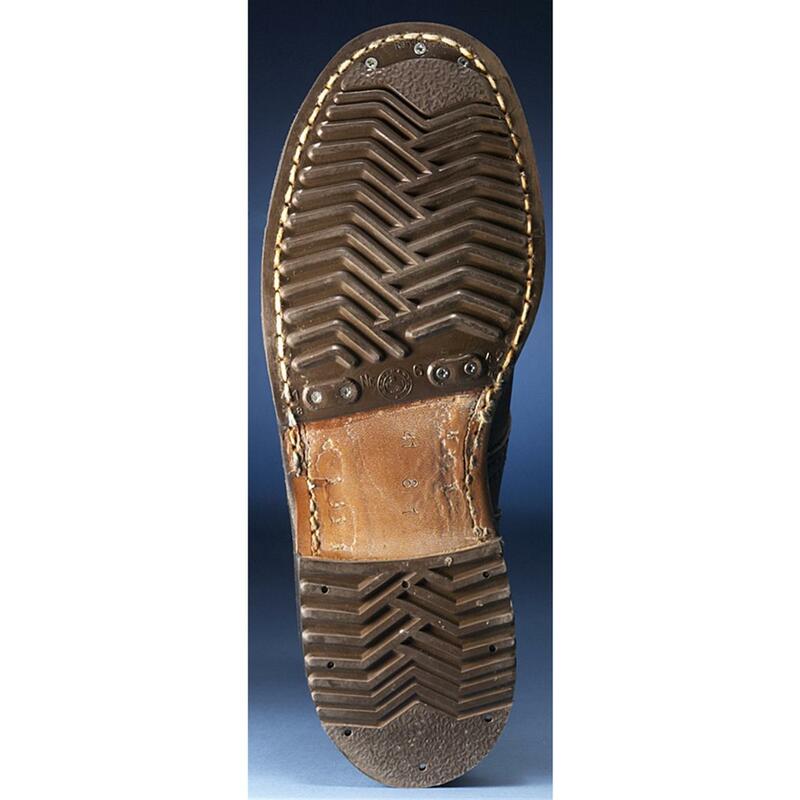 The description and photos do not show or describe the large zipper that runs the length of the boot. I returned these immediately. Rated 5 out of 5 by RAY from The boots are in great shape and I am very, very pleased with them. Boots of this quality simply cannot be had for a cheaper price. I am extremely pleased with them and plan on wearing them to bed until my wife threatens me with a skillet. Rated 3 out of 5 by SIMON from Nice boots, the condition was a bit more "used" that what would I liked to for the price but they are solid. Rated 5 out of 5 by JOHN A from Much better condition than I expected. Takes a nice shine. A first a bit stiff (new sole and heel rubber materials) but broke in easily and now is quite comfortable. Rated 5 out of 5 by BLAS from Arrived in unissued condition. Leather lined on inside. Size 9 is a 42.5, a hair larger than an 8.5 so fit was a very snug. Unused rubber sole is detaching after two weeks. Rated 5 out of 5 by RAUL I from As described. Brand new soles and gently worn leather. These are the famous Knobelbechers. A rare find that only the Guide can pull off! Get yours before they're gone forever.